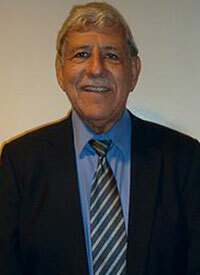 Fred Dominguez has a MA in Public Administration from the University of Cal State Northridge. Employed 27 years with the California Department of Rehabilitation, Community Resources Development Section. Served as Staff Services Manager and during his final two years was the Acting Chief of the Section. Fred has been a surveyor for CARF since 1986. In 1998 he became a member of the CARF Board of Trustees as an At-Large Member. Fred is currently self-employed as an International Consultant. He provides consultation to Community Rehabilitation Programs preparing for CARF Accreditation; CARF Mentor/Trainer new surveyor class July, 2013-15. Assists organizations prepare for certification as vendors for the CA Department of Rehabilitation.